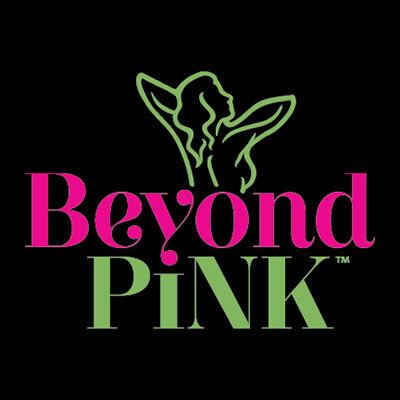 Beyond Pink is the result of two women who wanted to celebrate the technology called Thermography and its powerful ability to aid in the early detection of breast disease. Their goal was not just to raise awareness, but to help provide funding for women who could not otherwise afford this potentially lifesaving procedure. For 6 years they have produced the only designer bra fashion fundraiser in existence. The word about thermography has spread and grant applications are pouring in. The need to raise additional funds is greater than ever. May 17 marks the first mid-year friendraising luncheon to immerse guests in an afternoon of inspiration. The luncheon is designed to educate, inspire and connect guests to the life saving technology that is thermography. The event will be hosted by KHQ's Stephanie Vigil and you'll hear from the Beyond Pink co-founders Charlie Brewer and Karla Schubach, grant recipient and breast cancer survivor Staci Sawyer, and Alycia Policani, N.D., certified Beyond Pink physician, as well as Keynote Speaker, Sonya Elliot, author of Back on the Court: A Young Woman's Triumphant Return to Life, Love & Basketball, her story of finding hope in the wake of tragedy. The event will be Tuesday, May 17 from 11:30am to 1pm at Chateau Rive in the lower level of the Flour Mill, 621 West Mallon. Tickets are $35 and includes lunch, and are available at www.beyondpinkinspiration16.eventbrite.com.